Wellington Place, being a relatively short thoroughfare from Donegall Square North to College Square East, was, like its neighbouring streets to the north, “laid out as superior terraces” in the 1790s, making it Georgian in character, rather than Victorian, as so much of the rest of Belfast is characterised by, following the expansion of the town because of the advent of the Industrial Revolution in the 1840s. It was originally named South Parade, followed by Upper Chichester Street (after the family who held the freehold to the town of Belfast) and finally Wellington Place by 1819 – so named after the Duke of Wellington, (1769-1852) who spent part of his boyhood by the River Lagan at Annadale in South Belfast. ‘Annadale’ was named after Anna, the Duke’s mother, who was a daughter of Arthur Hill, whose family established the Downshire dynasty of Stranmillis (now Stranmillis University College) and Hillsborough Castle, now the Queen’s official residence in Northern Ireland. 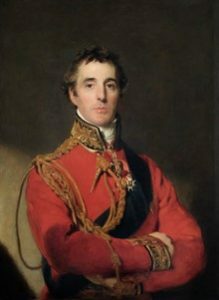 The Duke of Wellington was the nemesis of Napoleon, Emperor of France, whom he defeated at the Battle of Waterloo in 1815. In the early 19th century, the occupants of Wellington Place would have sent their sons to one of the most prestigious private schools in Ulster – the Royal Belfast Academic Institution (also known as Inst) which was located at College Square at the top of the thoroughfare. The main part of the building was completed in 1814 and its classical façade still stands today behind John Bell House. However, as the century progressed, Wellington Place ceased to be exclusively residential and many of the houses were gradually converted for commercial use. 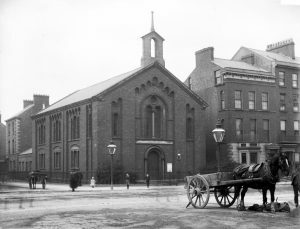 The Evangelical Union Church of 1858 (now Roost Coffee), which served the local population was demolished by 1895, and soon ornate linen warehouses such as that of James & Robert Young (on the corner of Queen Street) were being built along the thoroughfare. 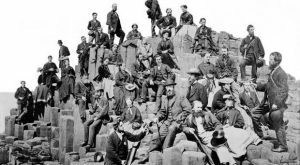 By 1850 Belfast was fast becoming the largest producer of linen products in the world, exporting to every corner of the globe such as the United States; South America; Australia and South Africa. It was against this dramatic change in urban living that a property developer of the time, acting on behalf of a private client, acquired a narrow plot of land in 1885 next to Young’s Linen Warehouse for the purposes of erecting a four-storey building which would service the needs of an ever-expanding metropolis. 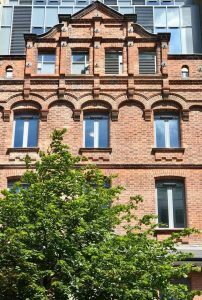 It was built of red brick over five floors with a distant ornamental gable. When it was finished it was one of the tallest buildings on the street and must have looked very impressive compared to the Monumental Sculptor’s Yard which stood on the site before. It was designed as a private residence over 5 floors … but who could afford to have such a sizeable property designed for their own use? 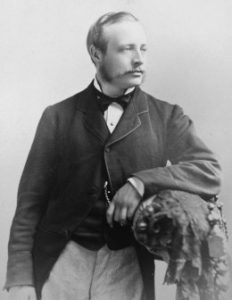 The first occupant of 29 Wellington Place in 1885, was Doctor Joseph Nelson, MD; L.R.C.S.I (Licentiate of the Royal College of Surgeons of Ireland). 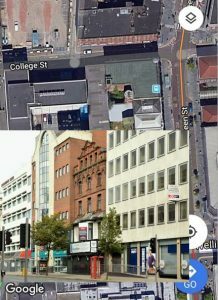 This was no surprise as the area around RBAI (Inst) on College Square was known as the ‘Harley Street’ of Belfast. 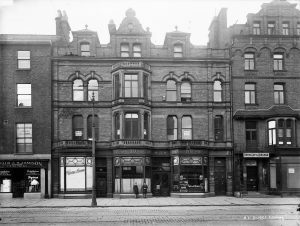 Dr Nelson would have used the ground floor as his consulting rooms and used the upper floors as his private residence. Two doors up, was the residence of Dr. J. Cumins, Professor of Medicine at Queen’s College (now Queen’s University), so the importance of the area by the time Queen Victoria bestowed the Charter of a City upon Belfast in1888 should not be underestimated. By 1901, Wellington Place was further becoming more commercial in nature. 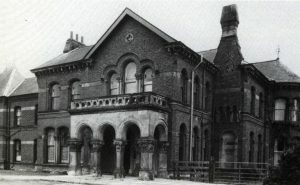 The former large houses were further converted for use as small hotels to serve the thousands of travellers arriving into the Great Northern Railway terminus (the main line from Dublin) on Great Victoria Street (now the site of the Europa Hotel). 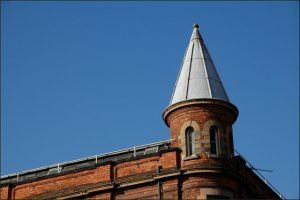 It was however chosen as the location for the City of Belfast YMCA, an enormously important organisation of the time for the development of young people by the Church of Ireland. It housed the Café Royale, one of the largest and most important meeting places for the people of Belfast. Dr Nelson happily remained at his consulting rooms and residence at 29 Wellington Place but nearby, one major change in the area in 1906, saw his fellow physicians and surgeons on College Square leave the area in large numbers – the building of the Municiple College of Technology (now John Bell House) in the grounds of Royal Belfast Academical Institution. 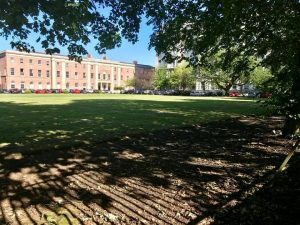 RBAI had almost gone bankrupt, and in a desperate attempt to raise funds, sold off the former lawns of the school to the Corporation of Belfast for the building of the new college. The surgeons and physicians felt that the area had degenerated as a result and they took themselves off to University Square beside Queen’s University which they considered to be much more prestigious. 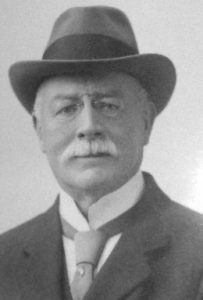 29 Wellington Place remained the residence of Dr Joseph Nelson from 1885 until his death on 31 August 1910. His importance to the medical profession in Ireland was enormous, serving as President of the Ulster Medical Council for the session 1898-1899. However, as a young man, and after studying at Queen’s, he set sail for Italy where he obtained a commission from Garibaldi’s “Regimento Inglese” to fight for Italy’s unification. He was later presented with two medals for gallantry by the King of Italy. After gaining his MD at the University of Ireland in 1863, he once again took off, this time to India, where he became a surgeon on a tea plantation before becoming a tea planter in his own right. 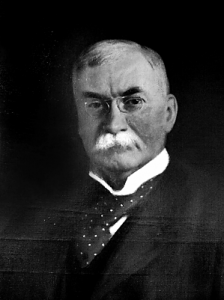 He returned to Belfast in 1885, where he was appointed the first ophthalmic surgeon to the Royal Hospital, where he held classes for students at 8:00 am daily. 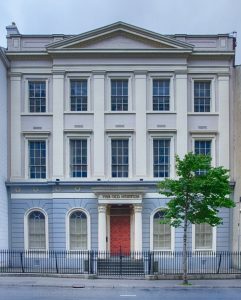 He regularly entertained his fellow surgeons and members of the Ulster Medical Society with his wife, Elizabeth at 29 Wellington Place over a period of 25 years. They had two daughters and one son, and lived comfortably with a staff of 4 servants: a housekeeper, a nurse and two domestic servants. By the 1920s and 30s, Wellington Place had secured for itself a prominent place in the commercial life of the city. 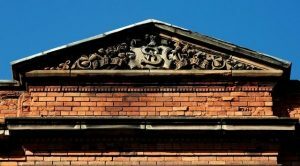 Many of the leading architects who shaped the face of Belfast had their offices here, in addition to the leading insurance companies of the day, distributors, stock and share brokers and solicitors. 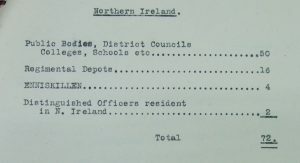 Mrs Nelson sold up following the death of her husband and what had previously been a family residence was converted into showrooms for Craig & Paton, Ltd., Laundry, Electrical and General Engineers: Telegraphic Address, “Rotary, Belfast” with the upper floor being occupied by the offices of the Belfast War Pensions’ Committee. The ground floor (which today has been authentically restored for Student Roost) had a modern 1920’s shop front added, but the building retained its unique first floor ‘running’ roof. Next Door was the quirkily named “Merrythought Café” – one of the social hubs of ‘Roaring Twenties’ Belfast. It was “the” place to be seen and many large companies and organisations holding their staff balls and presentations at the premises next door to Number 29 Wellington Place. 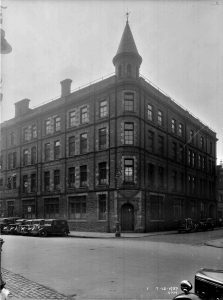 During the war years, many different organisations and professions occupied the 5 floors of 29 Wellington Place. 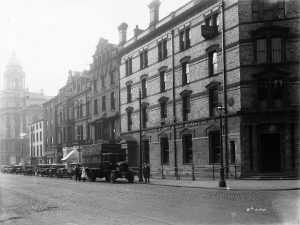 Due to aerial bombing of Belfast during the Second World War, many businesses had to relocate from their destroyed premises, one being Robert Patterson & Sons whose Bridge Street store was destroyed in the Luftwaffe Blitz of Easter Monday, 1941. Patterson’s were Ironmongers, Mill Furnishers, Ship Furnishers, and Engineers and traded on Wellington Place until their premises were rebuilt in 1946. From 1932 to 1960 the ground floor of 29 Wellington Place was occupied by the family firm of W. G. Wilson & Sons, Solicitors – (W. G. Wilson, W. G. Wilson, jun., Commissioner for Oaths; George I. Wilson; Gerard D. Wilson). 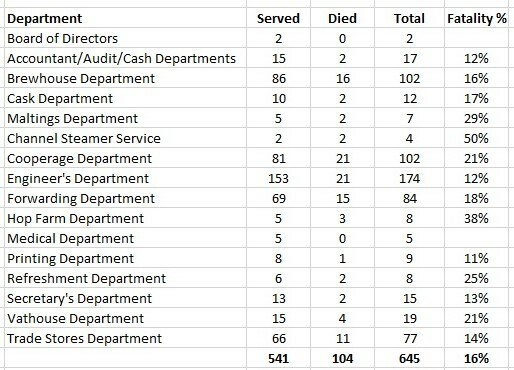 The Wilsons had an extensive practice in the city with many major clients. It was in 1960, that the most significant change of occupier took place, when the established firm of Parsons & Parsons (Tailors) moved in to 29 Wellington Place. 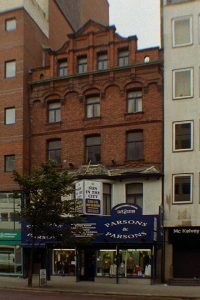 Parsons & Parsons had been established further along Wellington Place (at Number 37) in 1909 as Ladies and Gents Tailors. 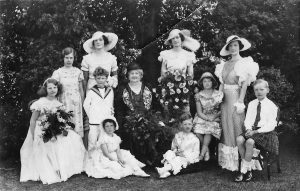 As a formal clothing hire company, it dressed the citizens of Belfast seeking to outshine others at special occasions for more than a century. The company specialised in weddings, formal wear, ladies, Highland and bespoke clothing. Whether it was formal attire for a gala ball, a cruise or a college formal, the hire store close to City Hall seemed to cater for whatever was needed. It stocked fine suits, waistcoats, dinner jackets and bow ties, as well as evening dresses, lingerie and kilts. 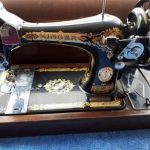 In addition to this it offered customers a tradition bespoke service, with specialist tailors creating jackets, suits, trousers or coats all crafted to customers’ specifications – or waist size. It also provided a service selling barristers’ court suits and accessories. Sadly, after 104 years of trading on Wellington Place, Parsons & Parsons closed in November 2013. The building which had served so many different people lay empty and neglected. It was a significant property extending from Wellington Place to College Street and sharing a boundary with another historic property at 41- 49 Queen Street known as Swanston’s buildings. 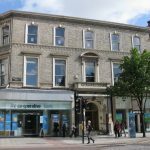 When the building came up for auction in 2015, a joint property deal was done to acquire both buildings for the provision of a major student accommodation development which would incorporate both sites, but at the same time retaining the historic facades of both properties. 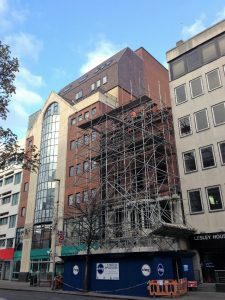 Plans were drawn up create a purpose-built managed student accommodation (PBSA) comprising 114 studios and 203 cluster rooms (317 units in total) to be named Swanston House with its main entrance at 29 Wellington Place. 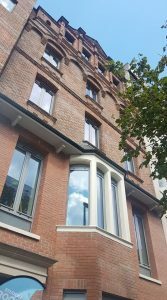 The historic façade that was created as the residence for Dr Joseph Nelson in 1890 was secured using the latest construction methods, whilst the rear of the building was demolished and rebuilt, providing some of the best student accommodation in the city. The ugly and intrusive 1960s shop front was removed and a replica of the original doorway and bay windows on the ground and first floors reinstated as it would have looked in 1890. 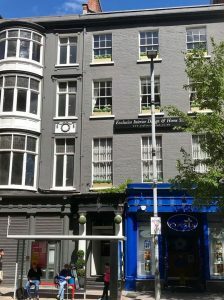 Swanston House, managed by Student Roost, opened in August 2018 at 29 Wellington Place. … You’re more than welcome! Queen Street, unlike its more upmarket neighbours to the north and west such as College Square and Wellington Place, was originally called David Street, this information coming from leases granted by the Donegall estate at the time. By 1819, it was being developed, roughly on the old town defences, hence the angle at the crossing of College Street, which would have followed the line of the town walls. The original houses would have been substantial, but without the grandeur of those found on nearby Donegall Square beside the White linen Hall (now City Hall) and College Square beside Royal Belfast Academical Institution (Inst). 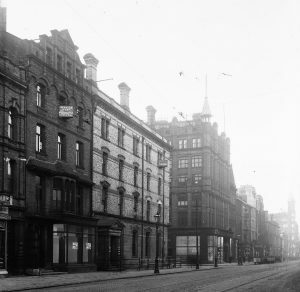 As the 19th century progressed, Queen Street did however play host to some very important buildings, both commercial and institutional. 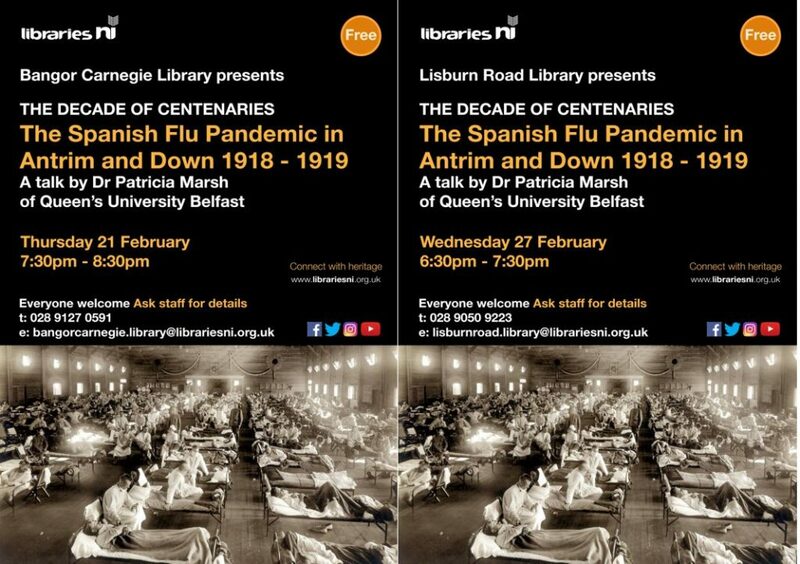 The most notable of these was The Belfast Hospital for Sick Children which was established in King Street in 1873 and moved to new premises on Queen Street in April 1879. 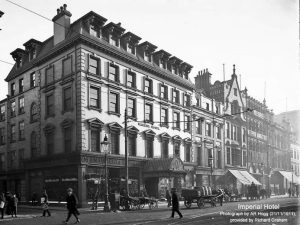 Another important building on Queen Street of the period was the Working Man’s Institute and Temperance Hall built on the corner with Castle Street. Before the days of the internet, this building contained a library of ‘upwards of 3000 carefully selected works’ in addition to a lecture hall where talks and concerts were provided “to check the increasingly bad effects of the music saloons”, where alcohol would have freely been available. 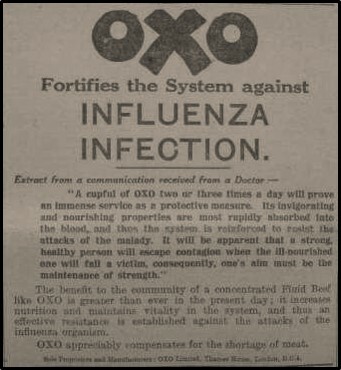 This was the beginning of the Temperance Movement which was set up by both the churches and industrialists to counteract absenteeism from the workplace, particularly in the mills and factories of the day. Against this background, a young man by the name of William Swanston came on the scene. 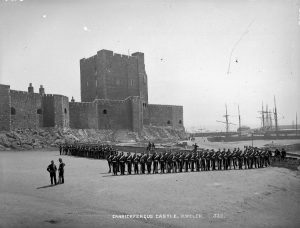 Although born in Barbados in 1841, where his father was serving with the Colonial British Army, the family was of Scots origin, and arrived in Ireland when William was a baby – his father having been appointed as Master Gunner at Carrickfergus Castle – one of County Antrim’s most visited tourist attractions. It was his business interests that brought him to Queen Street. Having formed a partnership with Thomas Bones, the two men set about establishing a linen shirt, collar and cuff manufacturing business. Since the 1850’s Belfast had become the largest producer of articles of linen manufacture in the world. 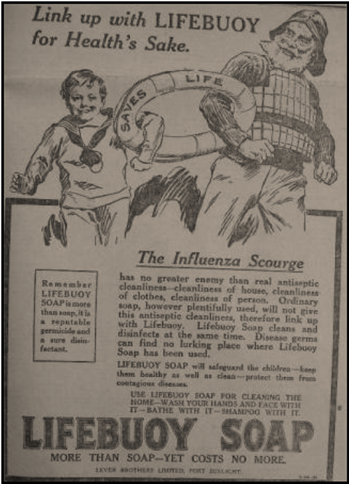 The partnership of Swanston & Bones provided the manufacturers of linen clothing with the accessories they required to complete the finished products before exporting them out of the port of Belfast to every part of the Empire and the civilised world. Their first manufactory was based at 50 King Street (adjacent to Queen Street) where they made shirt collars and cuffs. Soon the partners began to look around for larger premises and found a plot of land on the corner of Queen Street and College Street upon which was a small cottage and garden, one of the last of its type in the city. Upon purchasing the land, they commissioned one of the leading architects’ practices of the day, Young & McKenzie to design a new manufactory and warehouse for their growing business. The new building, erected in 1890, says much about Swanston as a person. 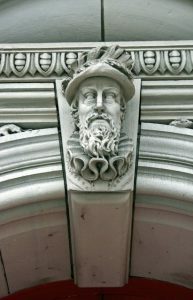 The entrance includes a bust of Sir Arthur Chichester, Lord Deputy of Ireland, founder of Belfast, and a key figure in the Ulster Plantation. 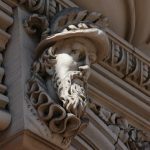 The head, made of Scottish granite, is based on a statue in St. Nicholas’ church at Carrickfergus, where he had been brought up with his family when they first arrived in Ireland. 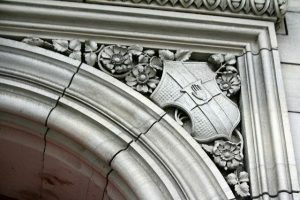 Also included in the entrance design are the coats of arms of Belfast and Ulster. 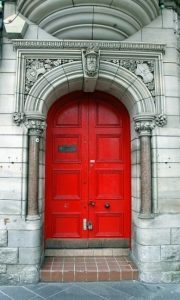 The sculptural detail of the doorway is notable for its quality and subtle wit. Sir Arthur Chichester is wearing a deep ruffle of the seventeenth century which neatly alludes to the collar and cuff making purpose of the business. 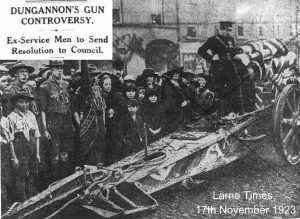 Swanston settled in North Belfast in a Victorian terraced house at 4 Cliftonville Avenue, with his wife Isabella, son Robert, who attended Royal Belfast Academy, and daughters, Elizabeth and Isabella Forsythe. The family had two servants both named Margaret and worshiped at the nearby Duncairn Presbyterian Church on the Antrim Road. The new building extended along Queen Street towards Wellington Place. In addition to the plot of land with the cottage and garden, the partners also acquired four Georgian houses and a cabinet manufactory belonging to Messrs McCutcheon. Swanston, a Scot by parentage, also demonstrated great affection towards his adopted country. 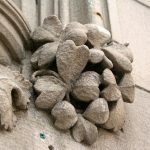 Shamrock and thistle motifs are found both on the entrance and in the pediment. A similar show of his fondness for Ireland is found in his bookplate which incorporates round towers, the Giant’s Causeway, a dolmen, a harp and most prominently the castle at Carrickfergus. 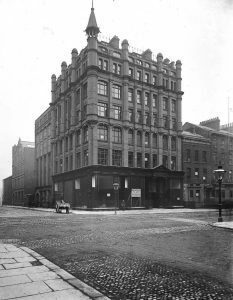 Mr Swanston developed the entire site with an imposing frontage of 150 feet to Queen Street and 80 feet to College Street, and in the process formed five distinct warehouses; Swanston & Bones taking occupation of the most prominent corner site. A semi-circular tower on the corner topped with a steeply pitched conical roof rose to a height of 75 feet, being originally covered in green slates and surmounted with a weather vane (now removed). 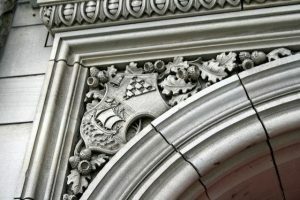 Swanston’s pride in his family is reflected in the incorporation of his initials ‘WS’, the family crest and motto in the pediment above Queen Street, which has been sympathetically incorporated into the new student residence of Swanston House. 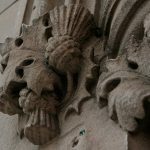 And so, William Swanston had achieved his dream of establishing a successful business, along with his partner, at the same time erecting one of the most impressive buildings in the city centre. 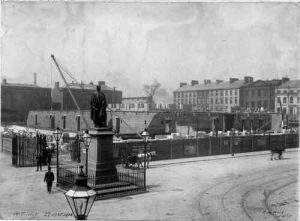 The status of a city had been conferred upon Belfast in 1888 during a visit to Ireland by Queen Victoria, just two years before Swanston House was built. 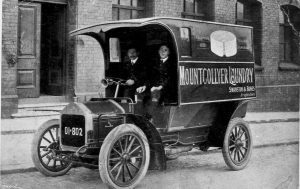 Although he was extremely proud of his new premises, the partnership soon outgrew even this building, and the company built a new shirt, collar and cuff manufactory on the Limestone Road, which he called the Mountcollyer Factory (below). 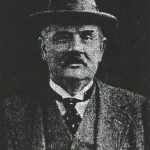 By 1901, his son Robert had joined him in the business, looking after the warehouse side and distribution of the company’s products across Europe. Swanston was by this time 59 years old, but still took an active part in the day to day running of the firm. 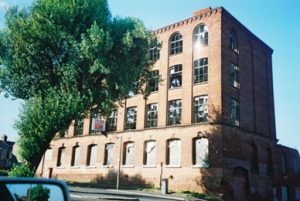 They developed a laundry on the site which would have serviced other linen manufacturers in the city and to collect and deliver the products, the company built up a fleet of motorised vehicles, some of the earliest in the city. Such goods would have previously been moved around the city by horse and cart. Back on Queen Street, the five warehouses that William Swanston had built were let out to many different companies. – Symington, Kirkwood, & Co., linen merchants, also agents for the Manchester Fire Assurance Co. 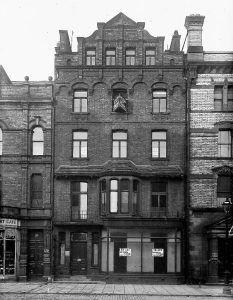 In 1901 the Singer Manufacturing Co moved into number 43 Queen Street, where they would remain for several decades to follow until the early 1970s. 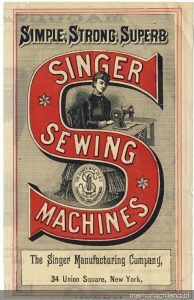 Founded in New York in in 1851 by Isaac Merritt Singer, the company’s sewing machines would go on to revolutionise home manufacture of clothing for the next 165 years. 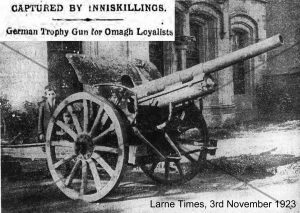 These were distributed all over Ireland from the company’s warehouse on Queen Street, managed by Mr James Marshall, having been manufactured in the UK at the company’s factory on Clydebank in Scotland, which was opened in1867. 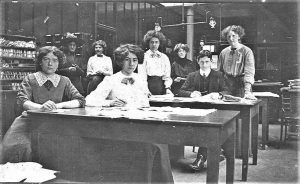 The Belfast Office Staff of Singer Sewing Machine Co.
Swanston would also have used Singer machines in his shirt factory at Mountcollyer in North Belfast. 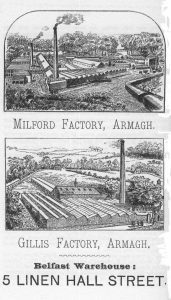 The majority of mills in Belfast concentrated on the spinning of flax, and weaving and finishing of linen products whereas those in Derry focused on the manufacture of shirts, with that city becoming the largest exporter of linen shirts in the world, so it was a specialist product that Swanston manufactured in Belfast. 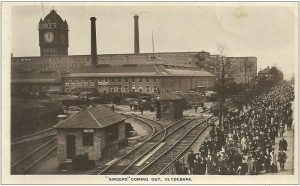 At Clydebank, with nearly a million square feet of space and almost 7,000 employees, it was possible to produce on average 13,000 machines a week, making it the largest sewing machine factory in the world (right)… another first, along with the largest shipyard, ropeworks and linen thread manufactory, all of which could be found in Belfast! 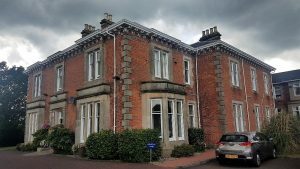 With his success in business in the partnership of Swanston & Bones, William Swanston, FGS (Fellow of the Geological Society), moved from the house he had lived in for many years in North Belfast to a new villa in South Belfast, called “Farm Hill” at Dunmurry. His new home was surrounded by many acres of parkland and would have provided him with a restful sanctuary in which to enjoy his retirement. 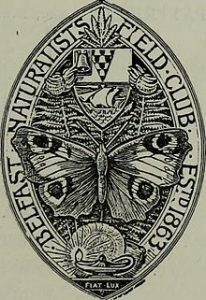 He was a member of the board of governors of the Linenhall Library (one of the finest in Ireland – top right); was an active member of the Belfast Naturalists Field Club who laid the foundation of our understanding of Natural Science today, and to which he wrote and published many papers on graptolites. He was an avid collector and built up what was one of the largest collections of Oliver Goldsmith’s works at his library at Dunmurry, which eventually he had to auction it off at Sotheby’s in London in 1926, as it threatened to take over the house! 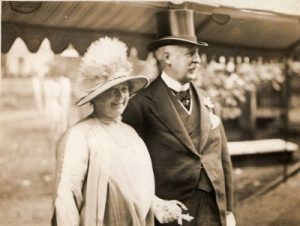 His wife Isabella had died at the age of 70 in October 1915, so it must have been a lonely existence in such a large house. 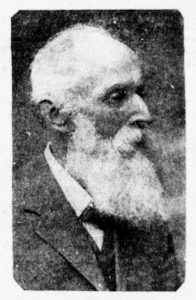 William Swanston died at the ripe old age of 90 on Christmas Eve, 1932. 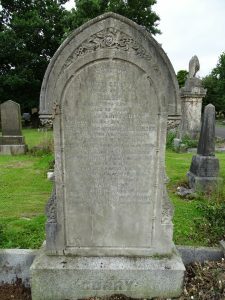 He was buried at Belfast City Cemetery on Boxing Day, beside his beloved wife. He left an estate in probate worth £10,414, approximately £680,000 today. One of the last occupants of the buildings at Queen Street was a company by the name of The Athletic Stores. The company was established in 1936 moving to impressive new premises on Wellington Place (seen left – at its junction with Queen Street – now Ground Coffee) describing themselves as “Travel and India Rubber Goods Specialists” but soon the business diversified into all sorts of sportswear, long before the days of JD Sports or Sports Direct! In 1974, the building on Wellington Place was destroyed by fire following a terrorist incendiary attack. The company then relocated to Swanston’s Buildings on Queen Street, converting what had previously been warehousing to retail use. Thousands of children would have been taken here for their first tennis or badminton racquet or the latest in “gutties” – the name everyone in Belfast used to use for today’s fashion trainers! 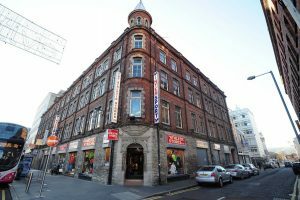 The Athletic Stores was founded and run by the Blakely family from Bangor – of whom one of the family, Colin Blakely, who used to work in the store as a boy, became one of Northern Ireland’s best-loved local actors. He is seen here reprising the role of the infamous Dr Watson in Arthur Conan Doyle’s Sherlock Holmes. The other half of the building was also converted for retail becoming the showrooms of EDCO – the Educational Company Limited. This was and still is, Ireland’s leading educational publisher, and retailed all sorts of media for students and teachers before the days of the Early Learning Centre. 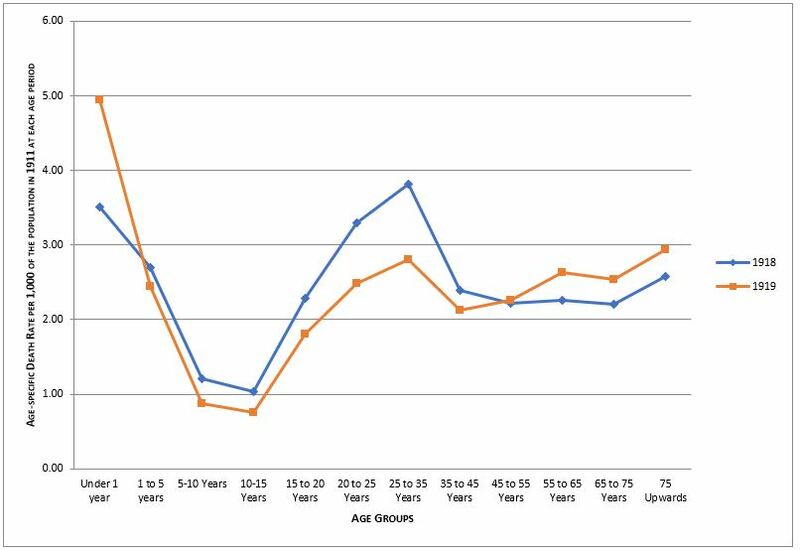 Perhaps it was the advent of Competition from these new retaillers, that by 2005, both busineses had decided to cease trading on Queen Street and Swanston’s buildings became vacant and unloved. 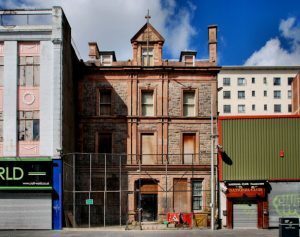 In June 2008, a planning application was lodged proposing the demolition of the Swanston buildings on King Street – the passing of which by Belfast City Council was met with shock and anger by the Ulster Architectural Heritage Society. The UAHS challenged the decision by Judicial Review and won a reprieve for the building in January 2010. Despite proposing several alternative uses for the building, the case proceeded through the courts until February 2014, when the judge hearing the case ruled that the Department of the Environment failed to properly consider a policy presumption in favour of retaining buildings in conservation areas. This decision by the High Court ensured the future of William Swanston’s buildings of 1890, and in 2015, the building was acquired by Laguna Developments who put forward an impressive plan to retain the façade of the building at 41-49 Queen Street, along with that of 24 College Street and 29 Wellington Place, whilst at the same time creating one of the most exciting student accommodation developments in the city. 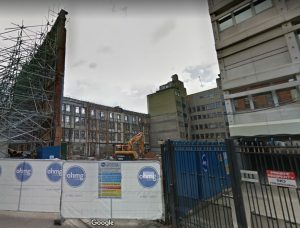 Work commenced in August 2016, demolishing the interiors of what had become a very unstable set of buildings (above). Using the latest construction support systems, the original Victorian façade was held in place, whilst the new building was erected floor by floor over the next two years. 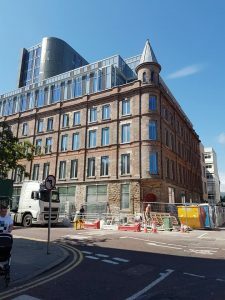 The new building, to be known as Swanston House was completed in August 2018 – the accommodation comprising of 317 bed spaces in a mixture of cluster bedrooms and studios located in a 7-storey low rise section and a 13-storey tower (see left). William Swanston would be proud of the impressive and beautiful conversion of the building that still bears his name today, managed by Student Roost, one of the most dynamic student accommodation providers in the UK. You’re more than welcome! 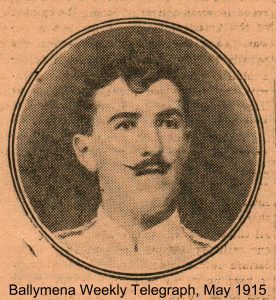 This article commemorates the memory of Lance-Corporal Hugh McNeill of the Royal Marine Light Infantry who died on 21st June 1918, 100 years ago today. 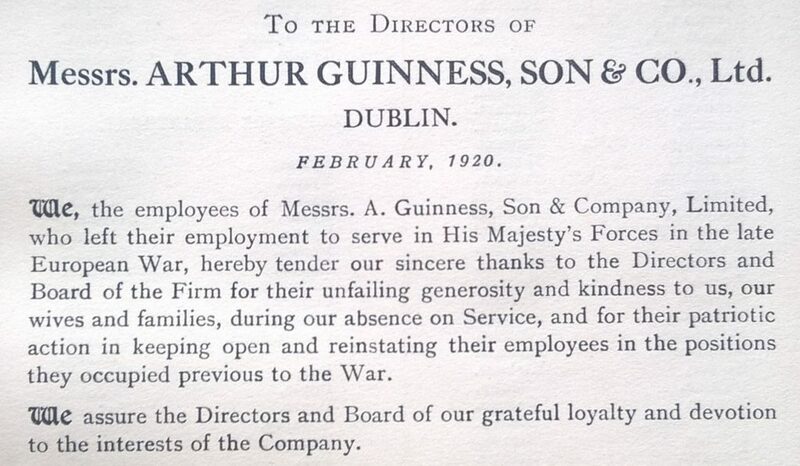 According to naval records, Hugh McNeill was born in Belfast on 5th January 1881. Hugh enlisted on 7th July 1899 and served in the crushing of the Boxer Rebellion (10th June to 31st December 1900) in China, for which he was awarded the China War Medal (1900). He subsequently served on HMS Goliath. 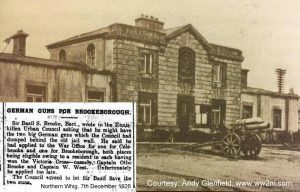 In 1911, he was stationed at Fort Blockhouse in Gosport and he was discharged on 6th September 1912, having completed twelve years of service. On the following day, he enrolled with the Royal Fleet Reserve. 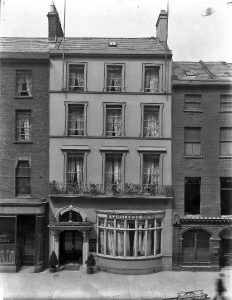 He settled in Belfast and was Head Boots at the Imperial Hotel, which was located on the corner of Donegall Place and Castle Lane. 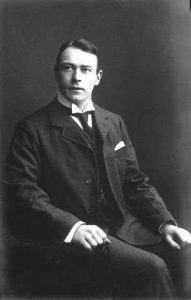 When Hugh married Annie Harland on 12th October 1913 at St Joseph’s Roman Catholic Church in Belfast, he was recorded as being a “Navy man” and was living at 56 Canal Street in Saltcoats, Scotland. 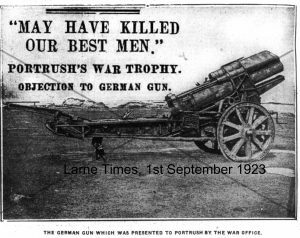 His father’s name was recorded as Daniel (Tradesman) and Annie, a millworker, was a daughter of Michael Harland (Tradesman) of 12 Bute Street in the Jennymount district of Belfast. 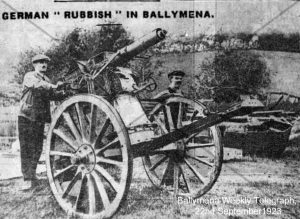 At some stage after their marriage Hugh and Annie moved to Ballymena and were living at 11 James Street when Hugh was recalled from the Royal Fleet Reserve. 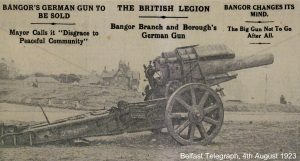 His name is included on the list of 78 men from All Saints’ Roman Catholic Church serving with His Majesty’s forces that was published in the Ballymena Weekly Telegraph on 5th June 1915. As there were insufficient ships to accommodate all the naval personnel recalled from the reserves and men enlisting with the navy, Winston Churchill, First Sea Lord, instituted a new naval force called the Royal Naval Division, which would fight as infantry in land campaigns. 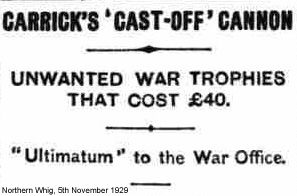 Hugh McNeill served with the Portsmouth Battalion of the Royal Marine Brigade of this new force at Ostend and Antwerp between 26th August 1914 and 1st September 1914. 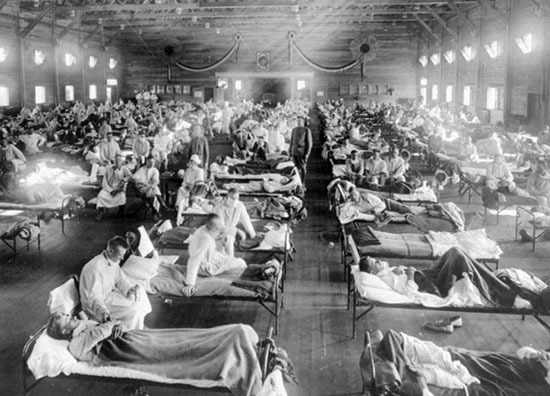 He was wounded in the left leg and right knee by a splinter from a German shell and, during the withdrawal from Antwerp, the train on which he was travelling was knocked off the rails and surrounded by Germans. In the engagement that followed, there were many casualties on both sides and several marines were captured but a party of 90 men under Major French got safely away after a 35-mile forced march to the Belgian village of Ecloo. 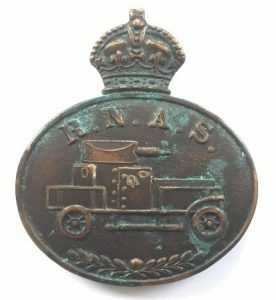 Hugh McNeill then served with a Royal Naval Air Service’s Armoured Cars unit under Commander Charles Rumney Samson RN between 10th September 1914 and 17th October 1914 before returning to the Royal Naval Division. 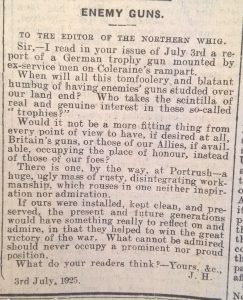 Following a period of furlough, an interview with Hugh McNeill was published in the Ballymena Weekly Telegraph in May 1915 in which he spoke highly of the “pluck and daring” of Commander Samson, particularly in engagements with roving units of Uhlans (Light Cavalry, with a Polish military heritage), saying that, “the Germans had come to greatly dread and fear Commander Samson and his gallant men”. In January 1918, Hugh McNeill was promoted to Lance-Corporal and transferred to HMS President III – this was not a ship but a shore establishment for men serving on Defensively Armed Merchant Ships. Hugh was a member of the gun crew on SS Montebello when she was torpedoed by U-100 on 21st June 1918 and sank 320 miles from Ushant, an island off the coast of Brittany, with the loss of 41 lives. Lance-Corporal McNeill, who is commemorated on the Portsmouth Naval Memorial, was 37 years old when he died. 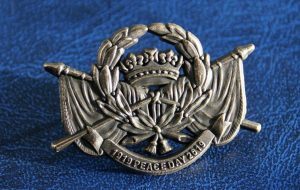 He was awarded the British War Medal, the Victory Medal and the 1914 Star, the latter being issued to his widow on 1st July 1920. 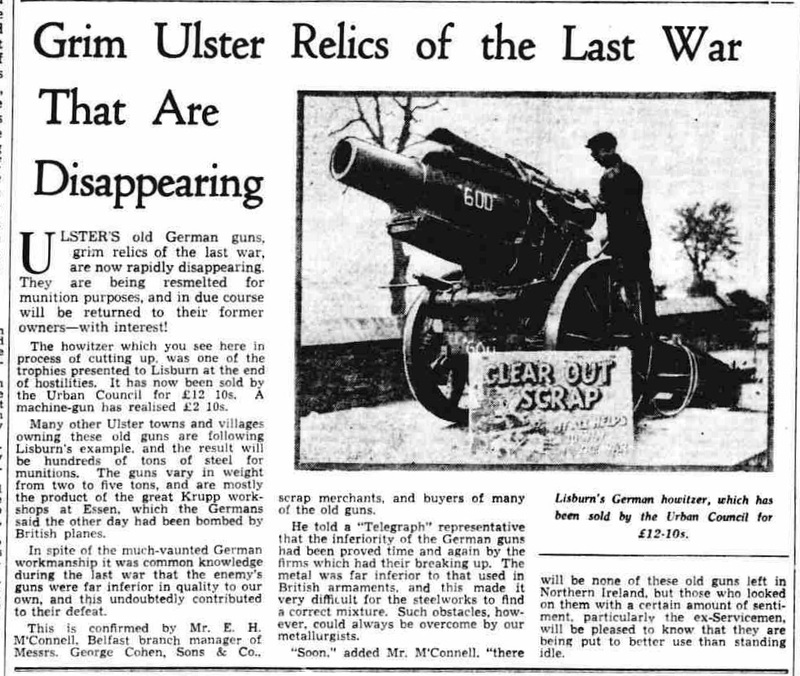 Michael Nugent (ww1researchireland.com), John Hoy (Ballymena & The Great War, snake43.webs.com/), Richard Graham, Ballymena Weekly Telegraph, Royal Navy & Royal Marines War Graves Roll and Royal Naval Division Casualties of the Great War.